Gradient assists the pharmaceutical industry with our broad experience related to the environmental and mammalian toxicology of pharmaceutical compounds. Staff toxicologists offer comprehensive support throughout the drug development process. At the target identification stage, our toxicology team offers technical and strategic solutions for pre-clinical toxicological safety assessment. In-house expertise in alternative testing strategies, including read-across and various in silico tools (Derek NexusTM, Leadscope, OECD QSAR Toolbox, Toxtree), facilitates comparative toxicity screens for hazard and risk assessment of unusual and proprietary chemicals. As a third party consultant licensee, Gradient offers in silico statistical- and expert-rule-based evaluation of impurities to meet ICH M7 requirements. Gradient scientists assist in the design, monitoring and interpretation on nonclinical toxicology, toxicokinetic and pharmacokinetic studies, in addition to the preparation of various regulatory and marketing submissions including Investigational New Drug (IND), New Drug Application (NDA), biologics license application (BLA), Clinical Trial Applications (CTA), and Marketing Authorization Application (MAA) submissions. Our environmental scientists have extensive expertise in the evaluation of pharmaceuticals in the environment, new regulatory requirements, environmental safety testing, and assessment to support regulatory submissions. Our epidemiologists regularly critically review clinical trials and observational studies to evaluate the efficacy and safety of specific pharmaceuticals. Gradient conducted several regulatory environmental assessments, compliant with FDA and EMA requirements, for a wide range of active pharmaceutical ingredients from relatively low toxicity to endocrine-active compounds. We designed and oversaw required environmental fate and toxicity testing and prepared the environmental assessment reports. 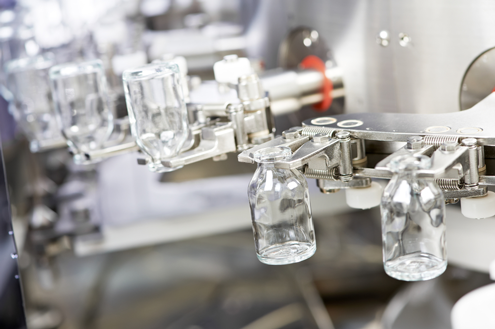 As an integral component of new drug regulatory approval, Gradient developed an approach for developing Predicted No Effect Concentrations (PNECs) for pharmaceutical ingredients with limited available environmental data. We reviewed an extensive dataset of Active Pharmaceutical Ingredients (APIs) and developed a streamlined, environmentally protective approach for estimating PNECs for APIs when little environmental toxicity data are available. Gradient provided comments on the EU-proposed pharmaceutical environmental assessment requirements. We recommended a streamlined, scientifically sound, tiered fate-and-effects data collection and assessment program. Gradient evaluated the potential clinical exposure and toxicological hazard associated with the use of the antimicrobial agent, alexidine (and its degradation products), when incorporated into a peripherally inserted central catheter. We utilized biocompatibility test results and prepared a toxicological profiles for alexidine and its degradation products (using in silico toxicity prediction tools) to determine the margin of safety. Based on the results, we concluded that there was a low potential hazard associated with clinical use of alexidine coated catheters at the levels examined. Our report was submitted to FDA. For a biotech company, Gradient evaluated flow cytometry data to gauge human immune responses to skin cancer treatments. We aided in the development of new assays to better understand dermal tumor immunology. Our advice advanced the client's research and development of skin cancer treatments. For a small molecule, initially provided pre-IND toxicology study support as the scientific lead for the conduct of outsourced studies, including safety pharmacology , genetic toxicology , and repeat-dose toxicology. Following IND approval, we monitored 90-day studies performed in rodents and primates, maintained direct oversight over the study conduct, data analysis, interpretation, and reporting. "...Research on pharmaceuticals in the environment has made great strides, but more work remains to better understand potential human and ecological health risks and to develop effective regulations." Tamara Lunsman and Tim Verslycke, from "Pharmaceuticals in the Environment – 15 Years Later"
Read the article in Trends.